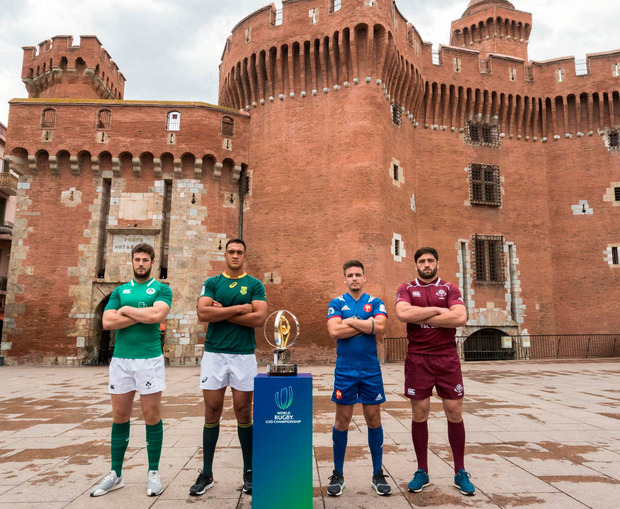 Ireland U-20 coach Noel McNamara is hopeful that his charges can cause an upset and turn over reigning Six Nations champions and hosts France in the opening game of the World Rugby U-20 Championship in Perpignan. McNamara has handed three uncapped players their debuts for tonight's game at Stade Aime Giral, with UCC centre Peter Sylvester being joined by wingers Tom Roche of Lansdowne and Dan Hurley from Young Munster in the starting XV. Included in the French side is prop Daniel Brennan, son of former Irish international Trevor, while Romain Ntamack, son of ex-French star Emile, has been their key performer this year at out-half. But McNamara, joined on the coaching ticket by Paul O'Connell and Connacht's Ambrose Conboy, is hopeful of an upset against a French side who defeated them 34-24 in the Six Nations. "Certainly, that game in France we came away feeling that we let an opportunity slip. What a great chance to look to redress that," he said. "Wins away to France aren't that regular for Irish teams. It is really exciting that we have that opportunity to write a bit of history. The last time France were Grand Slam champions, Ireland played them in the first game of the World Cup and turned them over. France finished fifth when they hosted the tournament in 2013 - Ireland were eighth that year - but the structure of the competition, with three groups of four, means that one defeat can scuttle a side. And while Ireland have managed to avoid New Zealand and England - they have won nine of the 10 titles to date - they face a searching test against the hosts tonight and South Africa, the 2012 winners, over the next few days before concluding their pool against Georgia next week. The Irish squad arrived in France on Saturday and settled into their team base in Narbonne, where they will play South Africa next Sunday and Georgia the following Thursday. But first up are the hosts and McNamara is hopeful that they have done enough in their preparations to carry them through the demands of three matches in nine days. "The reality is, in the World Cup itself, you have got to be really careful with the balance between getting work done and getting freshness. We have got to trust a lot of what we did in the Six Nations. "We would feel we got a lot of things right in the Six Nations. There were areas we feel we needed to be better on. That is something we put an emphasis on over the last six weeks. "We had a good run out against Munster. We went over to Scotland and played Scotland in the back pitch in Murrayfield and we had an exercise against Japan last week." McNamara, despite losing several players to injury since the Six Nations, is confident they have brought a strong squad to France. And while teams want to do well in this tournament, the competition is seen as a key pathway to the senior and perhaps professional game. Two years ago Ireland reached the final for the first time and while they went down 45-21 to hosts England, Jacob Stockdale, Andrew Porter and James Ryan came off that squad to win the Grand Slam earlier this season. "We would feel their understanding of the game is developed," added McNamara. "One of things that we are really looking for is that they pull their mates with them. "They will pull each other on and coach each other a little bit." France - C Laporte; L Tauzin, PL Barassi, A Seguret, M Marty; R Ntamack, A Coville; H Kolingar, M Lamothe, D Brennan; T Lavault, K Geraci; S Zegueur, C Woki, C Francoz. Replacements: G Marchand, JB Gros, D Bamba, PH Azagoh, J Joseph, J Gimbert, L Carbonel, M Lebel. Ireland - M Silvester (Dublin Univ/Leinster); T Roche (Lansdowne/Leinster), T O'Brien (UCD/Leinster), P Sylvester (UCC/Munster), D Hurley (Young Munster/Munster); H Byrne (UCD/Leinster), H O'Sullivan (Clontarf/Leinster); J French (UCC/Munster), D Barron (Garryowen/Munster), J Aungier (St Mary's College/Leinster); M Dalton (Malone/Ulster), J Dunne (Dublin University/Leinster); J Dunleavy (Malone/Ulster), M Agnew (Ballymena/Ulster), C Doris (St Mary's College/Leinster). Replacements: D Sheehan (Dublin Univ/Leinster), J Duggan (Naas/Leinster), J Byrne (Dublin University/Leinster), C Ryan (UCD/Leinster), A Hall (Ballynahinch/Ulster), J Stewart (Queen's University/Ulster), C Dean (St Mary's College/Leinster), S O'Brien (Clontarf/Leinster).